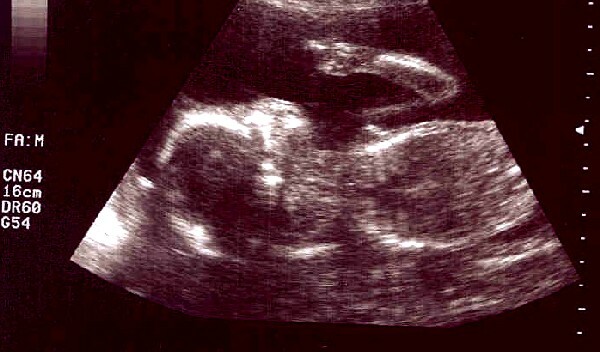 My co-worker – we’ll just call her “mommy” – showed me this ultrasound of her baby girl, taken this morning. I swear this photo has NOT been in any way “enhanced” or edited….. Do you see what I see?? The jozjozjoz.com archives for Wednesday, July 14th, 2004.